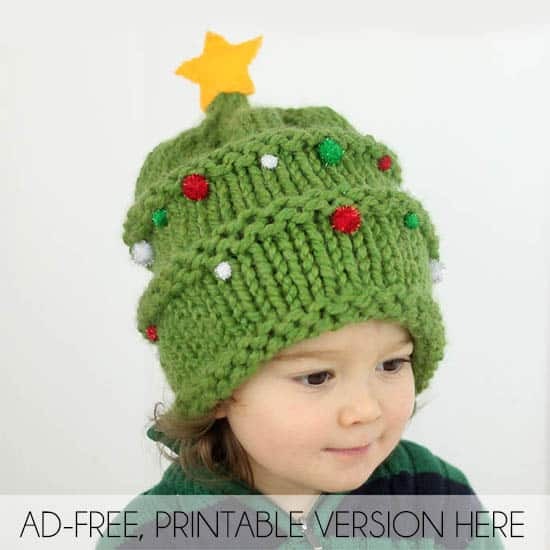 Christmas Tree Hat Knitting Pattern- the perfect accessory for the holidays! 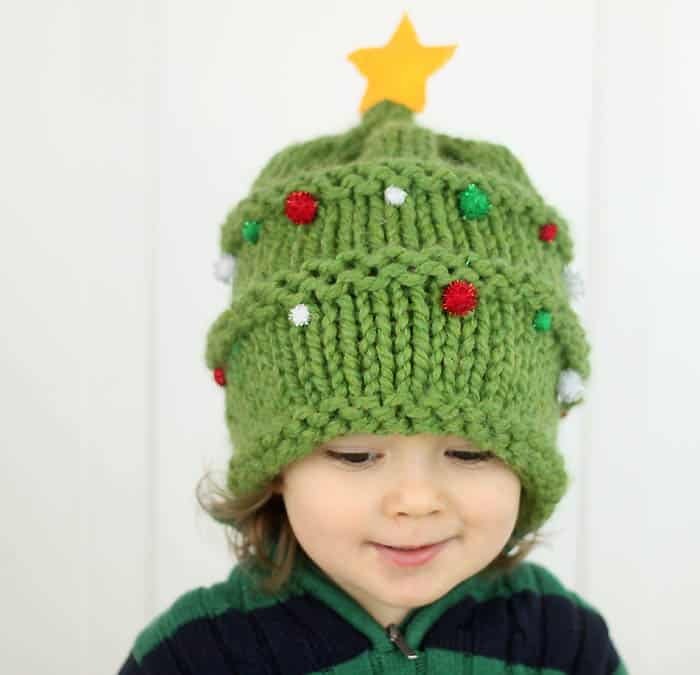 This hat is pretty easy to knit. 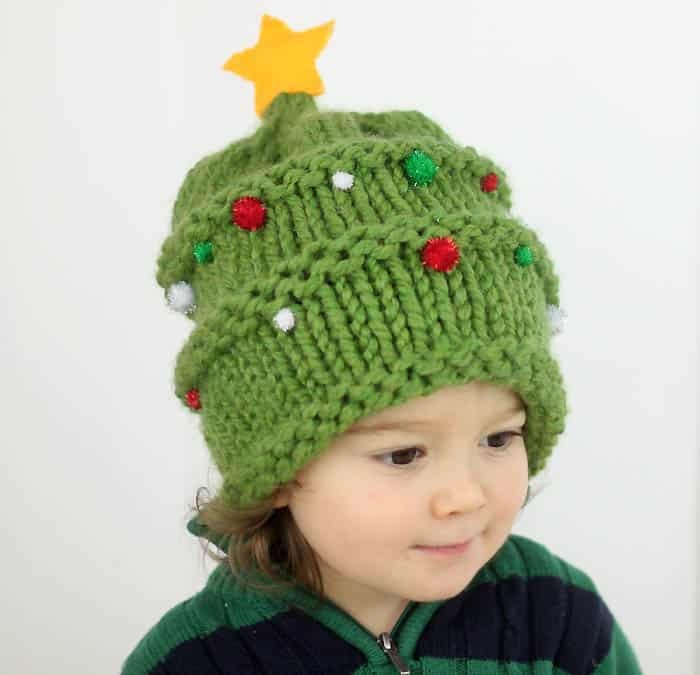 It consists of alternating rows of Purl and Knit stitches. The pom poms and felt star are sewn on afterward. Cast on 36 sts and join together. Purl in the round for 3 rows. Knit in the round for 8 rows. Purl in the round for 3 rows. Knit in the round for 8 rows. Purl in the round for 3 rows. Knit in the round for 4 rows. Decrease Rows: Knit 2 together until you are left with 6 sts, switching to double point needles when necessary. With the double point needles knit the 6 sts until they are 2 inches long. 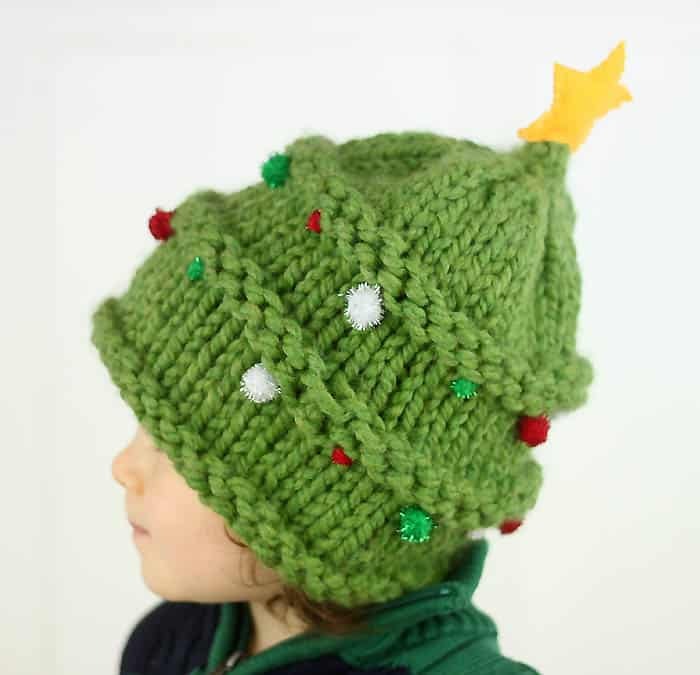 This “point” at the top of the hat will be where you sew the star. 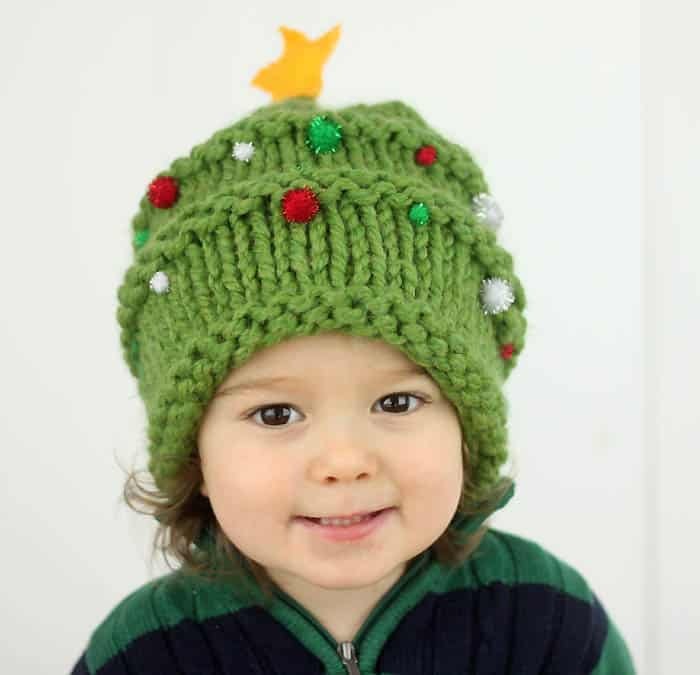 Using a needle and thread, sew on the pom poms under the Purl stitches. Cut 2 stars out of felt. Sandwich the felt between the point on the top of the hat. Sew the stars together. Oh my gosh, this is the cutest thing ever!